The cooler weather has arrived and that might mean for some that buoyancy aids are put away until next Spring. However this need not be the case and many members do sail throughout the year. This winter we are offering some extra opportunities to get on the water. 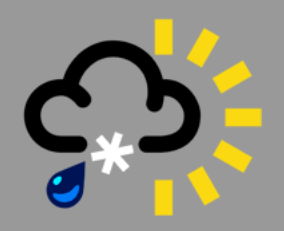 From 1st November until Easter our club has to operate under some ‘winter restrictions’ as a condition of our lease. This means that we can only sail at weekends and on Bank Holidays, and only on the northern (left hand) side of the lake. This is in recognition that our lake becomes home to some overwintering wildfowl. 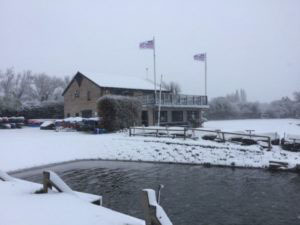 As there is a significant reduction in the demand for the use of club craft over the winter it is normally only made available on Sunday mornings when there is a regular gathering of hardy sailors who race, or perhaps just enjoy the challenge of winter sailing. There is always a Safety Boat on the water on Sunday mornings. This winter however there will be some extra opportunities to get on the water. Once a month we will be running a Winter Buccaneers session on Sunday afternoons (1.30pm – 3.30pm). These sessions are for our independent junior sailors to be able to sail with support in a semi structured learning environment. They should be able to rig and launch their own boat, although some help will be available. 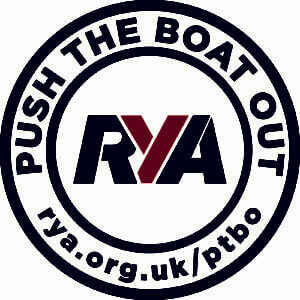 Please note that there will not be a scheduled safety boat crew, but there will be a coaching powerboat on the water and the plan will be for everyone to be on their way home by 4.00pm. It should also be noted that winter sailing requires some warm gear. Wetsuits or drysuits are compulsory, and if your wetsuit is a thin summer suit you should wear two to provide adequate protection! Please also think about your footwear and how you are going to keep your hands warm. A woolly hat should be in every winter sailor’s kitbag. With proper preparation winter sailing can be great fun. A crisp sunny Sunday is a great time to take to the water and even on the bleakest of days the satisfaction of sailing whilst it’s snowing is really rewarding! Perhaps you would just like to come and drink coffee and watch others sail – either way, we hope to see you on Sundays.